What riches are the dragons guarding in Dragons Mystery? An abundance of treasure awaits you in this adventurous mystical world. 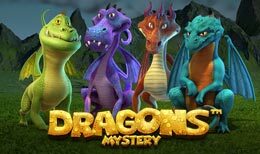 Dragons and gold coins fill the reels, with expanding wilds and golden multipliers that are awarded on every spin.